This past Saturday I was able to attend a performance of Matthew Borne’s The Red Shoes. Widely acclaimed in the UK, it is finally making a US tour with the original award winning cast. The one exception to this is Sara Mearns, a principle dancer for the New York City Ballet, who was cast to share the role of Victoria Page with Ashley Shaw for the New York leg of the tour. It was a pleasant surprise to see Sara in the role before she debuted in New York City, she is a powerful, expressive dancer who brought a real sense of conflicted passion to the character. Matthew Bourne is known for avaunte-guard takes on traditional ballets as well as adapting movies to the stage. The Red Shoes is his take on the movie of the same name, and is an inside look at both the process of developing a ballet from initial concept to final performance, and the inner turmoil of it’s lead dancer, as she is torn between her love of performing, and the love of her husband. The staging of the show was amazing, with gorgeous sets and costumes, and stunningly intricate choreography. My vantage point that night was different from most of the performances I attend because I had splurged a little on box seats. It was worth it. 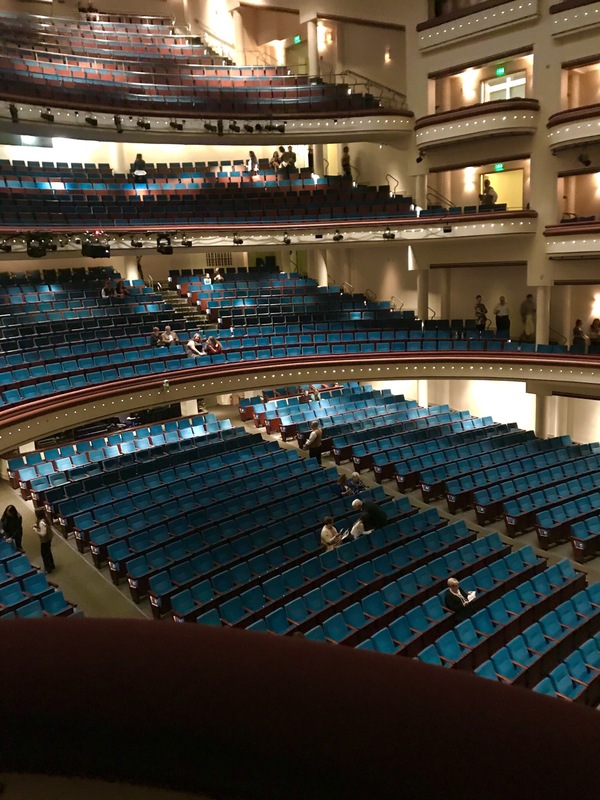 Being close to the stage and having the higher view point allowed me to appreciate the whole of the choreography, and the expressiveness of the whole new adventures company, as they conveyed a complex story with no dialogue. At one point, Victoria dances barefoot, and as Sara Mearns portrays the inner conflict and toll dance has taken on her character, the real life toll that dance has taken on Sara’s feet is also clearly visible.